April 15th will be a day we will remember, like 9/11. Seeing the Spire of Notre Dame collapse from the pinnacle of the 800-year-old Cathedral will be etched on our collective memory. Thankfully this catastrophe did not result in deaths and the Rose Windows, considered some of the most beautiful stained glass in the world were saved! It was July 2017 that I saw the north Rose Window in person. I first saw it in 2011 while watching Bishop Barron’s Catholicism Series. For six years I had admired it in photographs. To now be standing in Notre Dame Cathedral Paris and beholding the North Rose Window, that dates from the 13th century, was an experience I will cherish the rest of my days. 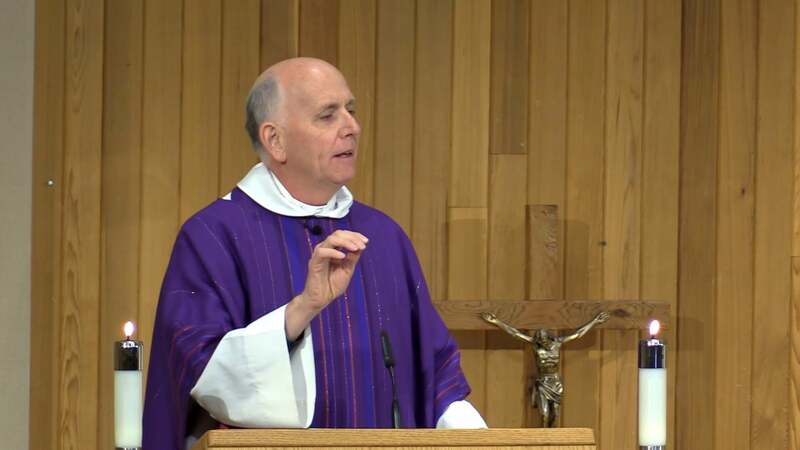 Thomas Aquinas, who was working in Paris and would have known this window when it was brand-new, said that beauty occurs at the intersection of three elements: wholeness, harmony, and radiance. We say something is beautiful— a face, a painting, a golf swing— when it hangs together as one, it has wholeness; when all of its parts work together in consonance, it has harmony; and when it shines forth as an archetype of what such a thing should be, it has radiance. One of the clues of this transcendent beauty is in the window’s numeric symbolism. Around the central figures of Christ and his mother are eight small circles. Then on the next major row we find sixteen circular images and on the next twice sixteen, or thirty-two images, and then finally another row of thirty-two. If we add thirty-two, thirty-two, sixteen, and eight, we arrive at eighty-eight. In a word, the entire window is an artistic meditation on the number eight. The number eight is a symbol of eternity, since it stands immediately outside of seven, which evokes the seven days of the week, or the completed cycle of time. 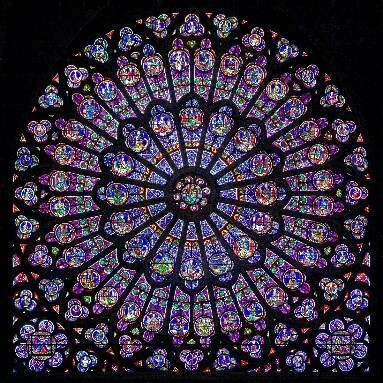 The Rose Window is therefore numerically symbolic and artistically representative of the Resurrection. was saved points to the hope that is ours as the People of the Eighth Day. We pray that the New Notre Dame will be raised from the ashes, as the death and resurrection of this great Cathedral draws many to ponder the meaning of the Lord’s Death and Resurrection from the Grave.